On August 24, 2018, the Heads of States-founders International Fund for Saving the Aral Sea (IFAS) Summit with the participation of the President of Turkmenistan Gurbanguly Berdimuhamedov was held in national touristic zone «Avaza», Turkmenbashi. The following Heads of States in Central Asia took part in the summit: the President of Turkmenistan Gurbanguly Berdimuhamedov, the President of the Republic of Kazakhstan Nursultan Nazarbayev, the President of Kyrgyz Republic Sooronbai Jeenbekov, the President of the Republic of Tajikistan Emomali Rahmon and the President of the Republic of Uzbekistan Shavkat Mirziyoyev. 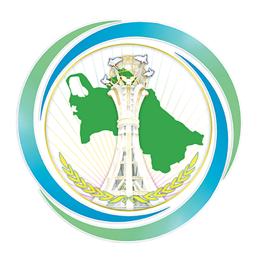 The Presidents of Central Asian countries discussed several important issues related to improvement of environmental, water management, social and economic conditions in the Aral Sea Basin. During the meetings, the importance of UN General Assembly Resolution «Cooperation between United Nations and the International Fund for Saving the Aral Sea» adopted on April 12, 2018 has also been underlined. Program of actions on providing assistance to the countries of the Aral Sea Basin (ASBP-4) which was drafted by the experts from Central Asia with the collaboration of international partners, was discussed and approved. A joint statement was adopted at the end of summit.